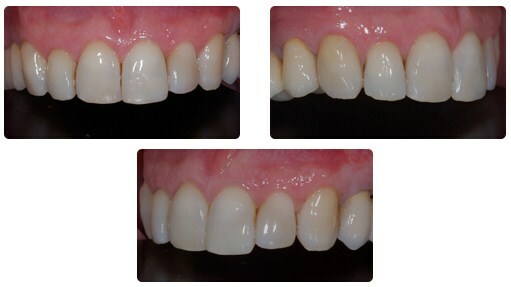 Patient would like to improve the esthetic appearance of the upper anterior teeth. He complains the existing composite restorations are not invisible and the presence of a black triangle between the two central incisors. He stressed he doesnʼt want any crown on his anterior teeth. Dr Deliperi agrees with the patient and suggests that a good final result may be achieved only through the gingival recession treatment. Before replacing the existing restorations, a gingival plastic surgery from canine to canine was required. 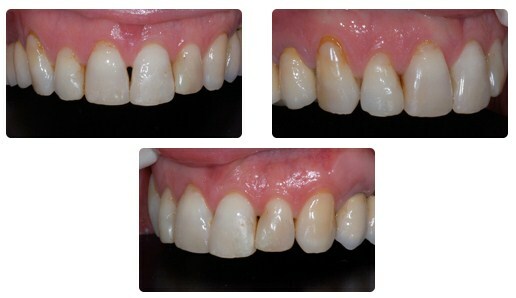 Final result after completing both the gingival recession treatment and fillings replacement. Covering the gingival recession and closing the black triangle between the two central incisors helped to achieve simmetry and harmony in the anterior upper teeth. Once again, no sound tooth structure was removed!